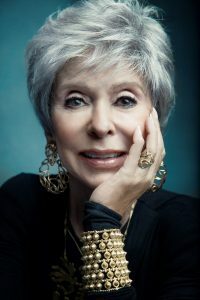 LOS ANGELES (May 2, 2018) – Emmy, Grammy, Oscar, and Tony Award winner Rita Moreno will be honored with the Lifetime Achievement Award at the 43rd Annual Gracie Awards on May 22 at the Four Seasons Beverly Wilshire Hotel in Los Angeles. Five-time Emmy Award-winning broadcaster and producer Lisa Joyner will serve as host. Presented by the Alliance for Women in Media Foundation (AWMF), the Gracie Awards honor outstanding individual achievements and programming by, for and about women in television, radio and interactive media. Today Moreno performs concerts across the country and often appears as a guest artist with symphony orchestras. She also lectures to various organizations and university audiences on topics such as diversity and the arts, in addition to being involved with a number of civic and charitable organizations. Moreno has served on The National Endowment for the Arts, as a Commissioner for The President’s White House Fellowships, and as a member of The President’s Committee on the Arts and Humanities. Emmy Award-winning television personality and producer, Lisa Joyner, is currently co-hosting season three of TLC’s “Long Lost Family,” where she guides the show’s participants through the discovery process of finding their biological families. As an adoptee herself, she provides a unique perspective, giving her the ability to connect meaningfully with guests and help them through the emotional journey. Joyner has worked as an adoption advocate with various organizations including Raise a Child. In addition, Joyner will be co-hosting season two of TLC’s “This Is Life Live” beginning May 13. Joyner has worked at KTTV-TV and KCBS-TV as a producer and entertainment reporter, and has hosted “NFL This Morning,” ABC’s “Find My Family,” and TV Guide Channel’s “InFanity.” She is also part of a mentoring group for the San Fernando Valley Rescue Mission and sits on a committee that helps to foster inclusion and diversity in school. Local and student award winners will be recognized at the Gracie Awards Luncheon on June 27 at Cipriani in New York City. 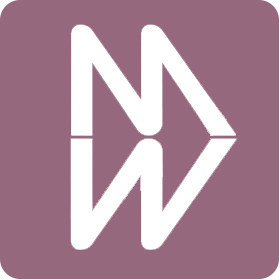 Please visit allwomeninmedia.org to view the complete list of the 2018 Gracie Awards winners. To apply for media credentials, please visit https://goo.gl/forms/E7s661xKhaIQfoP32.